Amazon’s yearlong search for the ideal location to build its second headquarters in North America is nearing completion but the outcome is far from what was initially promised. The e-commerce giant elicited interest from dozens of potential host cities with the promise of hiring as many as 50,000 full-time employees and investing more than $5 billion into the construction project. The second headquarters was said to be a full equal to the current campus in Seattle. Needless to say, having Amazon in your backyard would be a huge economic get for any city lucky enough to land the deal. Unsurprisingly, state and local governments are offering up plenty of incentives (tax breaks) in an effort to lure in Amazon. The problem is that Amazon is reportedly no longer standing beside its original promise. Sources familiar with the matter tell The New York Times that Amazon has shifted gears and is now finalizing plans to build two new headquarters, one in Queens and another in the Crystal City area of Arlington, Virginia. Collectively, Amazon will still hire a total of 50,000 new employees. 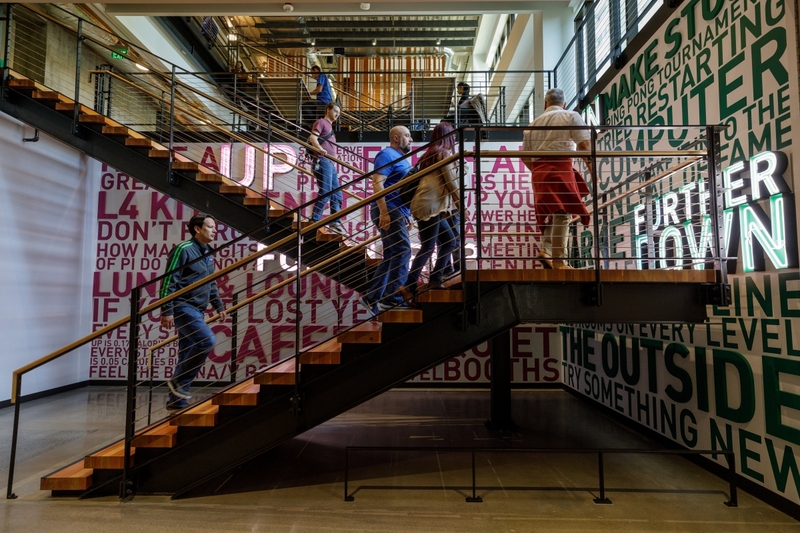 The motivation behind the split headquarters is said to be Amazon’s desire to hire the best tech talent. Pulling talent from two major cities means there’s more potential candidates to choose from. If it comes to fruition, it’ll be a shady move on Amazon’s part. The company pitched its second headquarters to potential host cities as a single location and received incentives based on those stats. Delivering a facility that is only half as large as promised while still expecting the same tax breaks just seems dishonest. Amazon set the terms to get favorable incentives, then changed the plan. Of course, this won’t really matter much as no city in their right mind would complain and risk disqualifying themselves from consideration. Even bringing 25,000 jobs in would be a big haul. Did Amazon just bait and switch potential host cities? Unsurprisingly, state and local governments are offering up plenty of incentives (tax breaks) in an effort to lure in Amazon. There is no bait and switch. After the city is chosen Amazon will sign a deal for tax incentives. that deal will say something like 'Amazon gets X amount of tax incentive when they create the first 1000 jobs. Then X more when they create the next 1000 jobs' or something like that. They didn't get an incentive based on 50,000 jobs and then turn around and drop the number to 25,000. Even if they only come through with 10,000 jobs at each location, they'll get incentives to match. it'll be a pay-as-you-go sort of deal. Wisconsin is going through this right now with Foxconn. Foxconn is getting some huge incentives, and Wisconsin is getting a ton of jobs. But if those jobs never materialize (at predetermined wage levels - no hiring 2000 janitors or tricks like that), then Foxconn doesn't get the incentives. And another thing... know how much tax money these cities will get from Amazon if they go somewhere else? Zero. So even WITH the incentives, and the smaller job number it's still a huge win. Incentives means Amazon will get to keep some of the money they would otherwise pay in tax. BUT the state will still get some of it, AND it'll get the income taxes on wages for all those new jobs. The labor market is already extremely tight - If Amazon tried to hire 50,000 professionals in one area they'd probably fail anyway. They probably learned in all their studying cities that there's no chance of pulling that off. This isn't a scam or a trick - why make it out to be so sensational? Carmaine and Reehahs like this. On this point: Foxconn is rumored to be bringing in people from China because they can't find enough people to fill their plant in Wisconsin (since they build it in the middle of nowhere because it was cheap). I'm glad it is not being built in Pittsburgh. 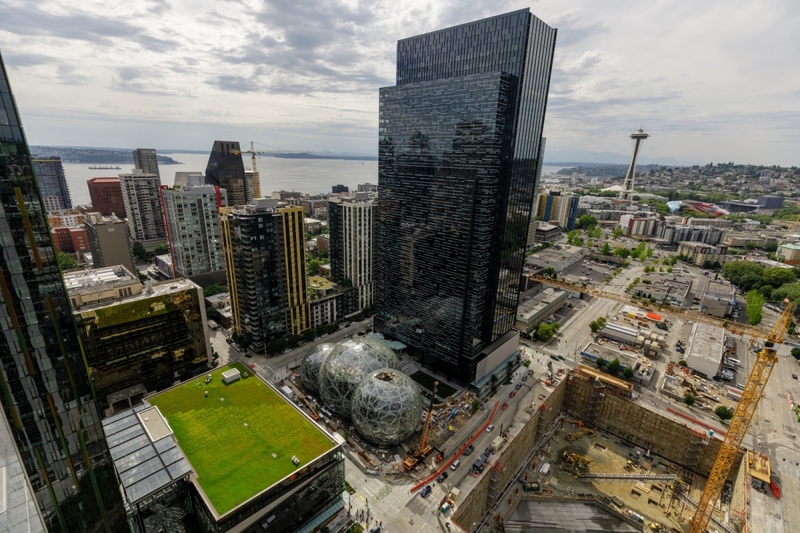 Living in Seattle, I can assure you that one-half of an Amazon headquarters will be more than plenty for any city. Even though us Seattleites appreciate the job opportunities and tax revenue Amazon has brought in, they are at the same time, a royal pain in the rear. Due to the thousands they've hired, rent and home purchase values have skyrocketed, the homeless population attracted to the "new money" has grown exponentially, and traffic/congestion issues in downtown Seattle are off-the-charts. Those cute little geo-domes that just opened up and getting a lot of attention (including the picture in the article)? Yeah, that's about 5% of Amazon's footprint in downtown Seattle. So be careful what you ask for. Can you provide a link to where you got this contract information? google it, this isn't some opinion you'll have trouble finding. Every story has the same details. Under the deal, the state would pay the manufacturer up to $2.85 billion in cash over 15 years, depending on how many jobs it creates and how much it invests in the plant. The Amazon HQ will probably get a similar deal. Basically the state pays a ton of money to buy jobs. That's the long and short of it. But they only pay after the jobs exist. The irony is that critics who say the state shouldn't use tax payer money to give to a company in return for jobs are in almost always in favor of increasing taxes to pay for jobs programs. They just don't like it when someone else creates jobs instead of the govt. Either way it's buying jobs with taxpayer money. The state giving the tax credits isn't supposed to benefit. that's not the point. The benefit is for the people who get the jobs in and around the new development. If it was a bad deal, states wouldn't be tripping over each other to sign up for it. "It would take the state up to 25 years to recoup its investment in the company, even when accounting for the economic ripple effect of the project, according to the nonpartisan Legislative Fiscal Bureau." "The legislation would exempt the Foxconn project from some state rules to protect wetlands and waterways"
In terms of investment, 25 years just to get your money back and not even including potential cost of environmental damage, is a terrible investment by any metric. That money could be spend on infrastructure and it would yield better results. Um, what? Yes the state most certainly is supposed to benefit given the whole republican moto is "reduced taxes and government handouts to business will increase tax revenue". You can't advertise something as good for the state budget and then say it's not going to be. If the state isn't seeing a good return on their money then it is a waste of taxpayer cash. Like I pointed out above, that 25 year estimate includes jobs created from the ripple effect and that still isn't even close to impressive. Politicians falling over themselves to secure a photo opt isn't new. It might look nice on paper for short term memory voters that a majority of Americans are until they realize they actually have to balance the budget at some point. In fact being so inept at managing money is costing states millions of dollars from late fees and interest. States giving out cooperate handouts is nothing new. Multiple states have funded billionaire's football stadiums and buildings all to little in return for taxpayers. There are hundreds of other immediate concerns that would generate more jobs and more tax revenue then Amazon or foxconn would provide. I responded to that already. My exact quote: "The state giving the tax credits isn't supposed to benefit. that's not the point. The benefit is for the people who get the jobs in and around the new development." I'd say the same thing to people who say Obamacare is bad because it costs jobs. It's not the point. Obamacare is supposed to provide health insurance, not prevent job loss. Yes the state most certainly is supposed to benefit given the whole republican moto is "reduced taxes and government handouts to business will increase tax revenue". Not increased tax revenue from the business receiving the tax breaks! Increased tax revenue comes from more people making more money. The tax revenue will come from the people working in and around Foxconn (or Amazon). PLUS there's the added benefit of all those people who now have jobs - which means fewer people on state support costing the state money for foodstamps and health care. If fewer people need govt assistance because they have jobs, then the govt will need less tax revenue AND get more tax revenue. You can try to make this into a Rep vs. Dem issue if you want, but WI is run by Republicans and they brought in Foxconn, and Virginia and NY are both run by Democrats and they are bringing in Amazon. So both sides of the isle agree with this being a good strategy for creating growth in their states.